The Rubbish Diet: Brilliance in Blogging Awards: Please vote for this waste-busting blogger. 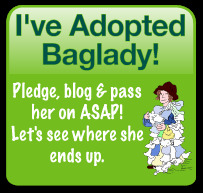 Brilliance in Blogging Awards: Please vote for this waste-busting blogger. I've just discovered the wonderful news that The Rubbish Diet has been shortlisted for the Brilliance in Blogging awards, which will be hosted by the BritMums Live event in June. I'd firstly like to thank all the kind folk who nominated my blog. The news was a fabulous surprise, especially as over the last two months I've had my head firmly buried in other people's virtual bins. Apparently there were over 12,000 nominations registered across many blogs, so I feel especially honoured to have made it to the top 20 blogs listed in the category of CHANGE. The public vote has already commenced, and if The Rubbish Diet makes it to the final list, I will personally feel chuffed to bits, but more importantly, it will be a great opportunity to raise the profile of this blog and for bin-slimming habits to reach a wider audience and help embed the change that is needed to help reduce this country's waste footprint. 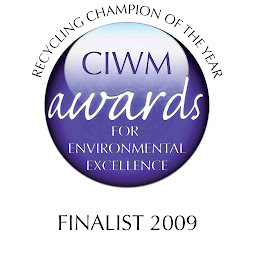 I felt too shy to ask for nominations, but today I am actually going to ask for your vote, as I would love the opportunity to raise awareness of waste reduction even wider within a blogging community that has already shown an appetite for such change. Those who have followed the various campaigns that I have either instigated or promoted over the last four years, have done so with great enthusiasm. From the early days of the recycling carnival, to Recycle Week, Zero Waste Week, Baglady's Living ASAP, the 1000 bin challenge and finally the Rubbish Diet Challenge 2012, there has been one heck of a lot of support from the parent blogging network. I now want to capture that energy and make sure the waste-busting message amongst bloggers gathers even further momentum. Reaching the finals of the awards would most definitely help me empower other bloggers to do more and my brain is already thinking about some exciting campaigns that could capture the imagination of such a creative community, which has an amazing ability to inspire its far reaching audiences. So if you have a moment to spare, just a few minutes is all it takes, do pop along to the Voting Page and VOTE. You'll find The Rubbish Diet listed in the third category down, nestled amongst all the other brilliant blogs that have been nominated for the CHANGE! award. Quite rightly, it's going to be tough competition, so your vote really will count. And of course, do vote for others that have inspired you too. I'm off there myself in a mo' to check out the other categories. Good luck to all the bloggers who have made the shortlists. And to anyone who takes the time to vote for my blog, I'd like to say a HUGE THANK YOU! Your support is very much appreciated. To view all the categories and place your vote, please visit: http://www.surveymonkey.com/s/bibs_shortlist Voting closes on 30 April 2012.